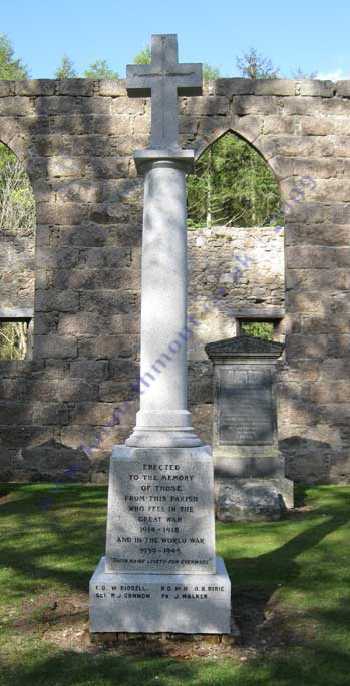 The memorial is in granite and placed in front of the entrance to the former Blairdaff Established Kirk and burial ground. Blairdaff was a quod sacra parish of Chapel of Garioch, its area being the old parish of Fetternear and part of Monymusk and Oyne. This church was abandoned in favour of the nearby United Free Kirk building in recent times. 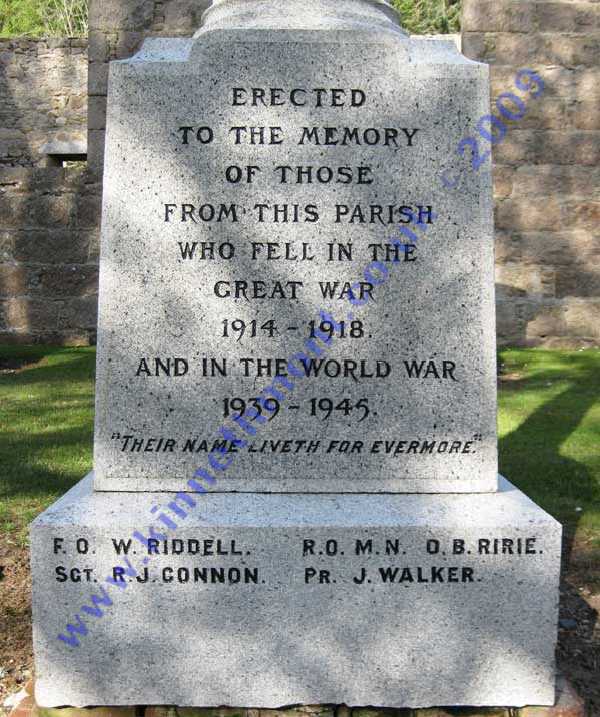 There is a memorial tablet on the Free Kirk recording the names of eight men, three of whom are also recorded here. 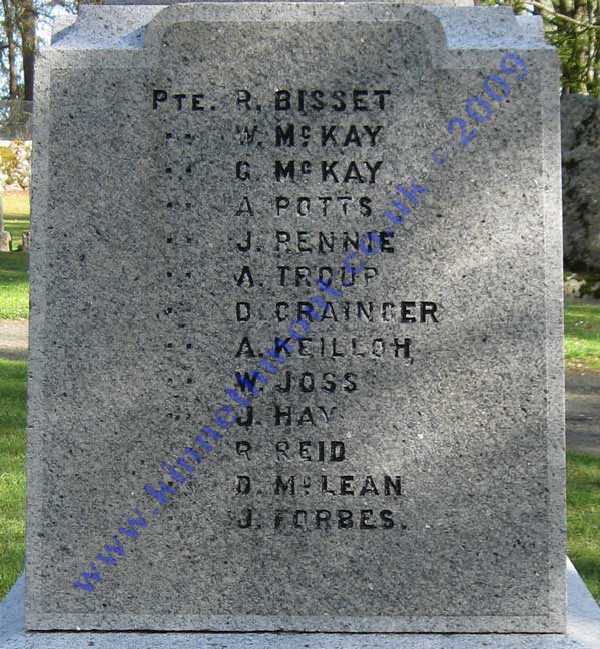 The names of the four WW2 casualties have been added to the base below the altered inscription. 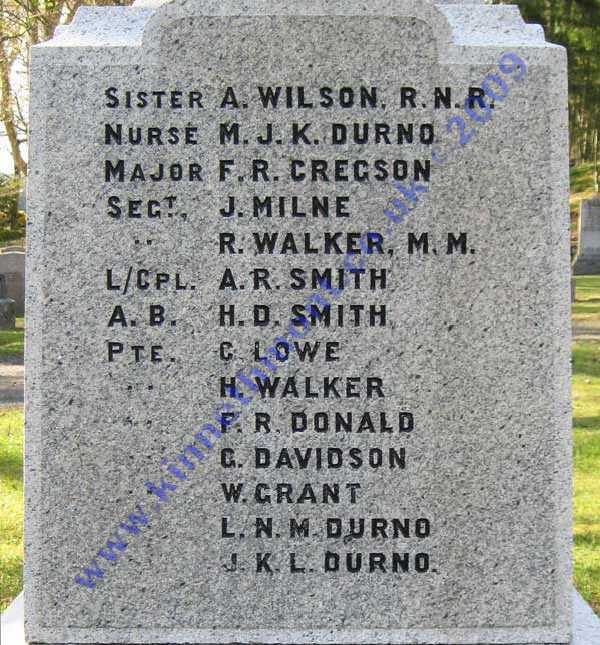 Maggie Isabella Kathleen Durno	Voluntary Aid Detachment	born Kemnay	Age 21	Died	London	14/09/18	Daughter of Barbara Jane (nee Mortimer) Durno, Grant Lodge, Kemnay & the late Alexander Durno. 1901 Census: Lochshangie. B 1897. 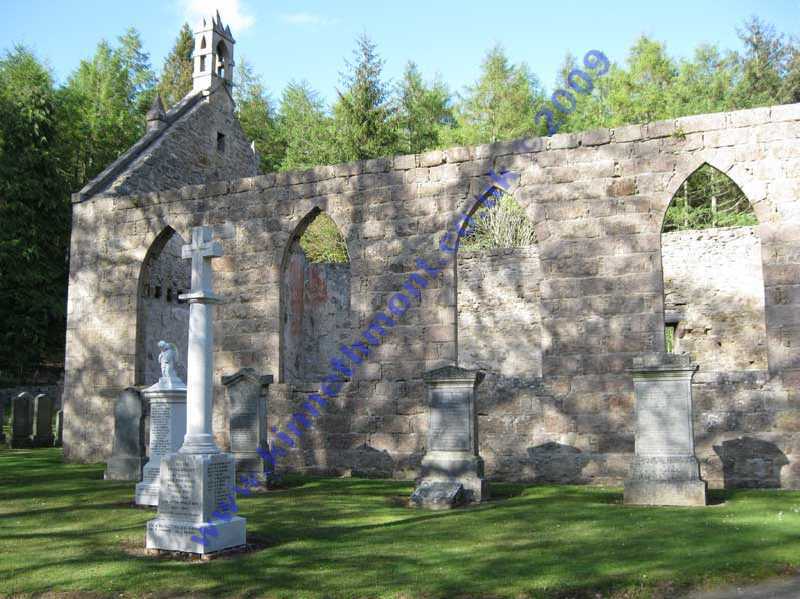 Monymusk Memorial : Grant Lodge. Died Woolwich, London. Brothers James & Leslie also died.